Caffeine-free and brimming with beneficial vitamins and minerals, Mulberry Leaf Tea is a real treat to the mind, body, and soul. This beverage has remained an integral part of Traditional Chinese Medicine for thousands of years, and has since been formally recognised by modern science for its incredible health properties. Most notably, the frequent consumption of Mulberry Leaf Tea when consumed as part of a healthy and active lifestyle can help to lower cholesterol, combat minor symptoms associated with cold and flu, and even aid in balancing blood sugar levels in those living with Type II Diabetes. Further to this, Mulberry Tea is an excellent choice for weight management. If, however like many of our consumers you choose this beverage for its delectable flavour, you are, without a doubt, not going to be disappointed. The Kent and Sussex Tea and Coffee Company use only the finest quality leaves from the Black Mulberry tree. 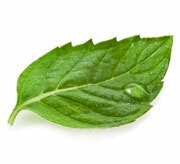 These leaves, upon infusion, are known for their delicate flavours and enticing aromas. All varieties of the Mulberry Tree belong to the Moraceae family (also known as the ‘fig’ family). There are an estimated 16 species of mulberry that can be found in warm, subtropical, and temperate parts of the world. In the United States, for example, the Red Mulberry Tree (or, ‘American Mulberry’) flourishes in every state apart from Nevada and Alaska, indicating a potential climate preference. Depending on the species of this versatile deciduous tree, the height may vary from as short as 40 feet (12 metres) to the Black Mulberry Tree which is as tall as 80 feet (24 metres) and also the White Mulberry Tree. The latter, in particular, is most famous for its vital role in the production of silk. White Mulberry Trees have been cultivated in China for thousands of years, predominantly for silkworms to feed on the leaves. This, in turn, sustains the silkworms as they produce their remarkably intricate fibres for silk. The history of mulberry leaves and their human consumption likewise dates back thousands of years. In fact, the Ancient Romans used mulberry leaves in the treatment of mouth, trachea, and lung diseases. This has since continued into the 21st Century, as modern science uncovers the true potential of mulberry leaf consumption. To find out more information on how Mulberry Leaf Tea can combat common ailments prevalent in western society, please see our Health Benefits section below. How to Serve: This beverage is best served as it is. However, the additions of honey or lemon may also be considered as equally delicious accompaniments. Tasting Notes: The richness of Mulberry Leaf Tea’s aroma may surprise many compared with its subtle flavours. Grassy, herbaceous and refreshing, this beverage has slightly sweet undertones and a delightful aftertaste. Truly easy drinking, perfect for a hot summer’s afternoon! Colour in Cup: Golden-yellow liquor, light in tone. Health Benefits of Mulberry Leaf Tea: Rich in many vitamins and minerals, including Vitamins A, B1, B2, and C, as well as Gamma-Aminobutyric Acid (GABA), Deoxynojirimycin (DNJ), Phytosterol, Quercetin, Calcium, Potassium, Magnesium, Iron, and Zinc. It likewise contains antioxidants known as Flavonoids, which have the ability to combat free radicals found within the body. In South-East Asia, Mulberry Leaf Tea is used for decreasing cholesterol, hypertension, and Diabetes. In reference to its “bad” cholesterol-reducing abilities, a 2013 study published in ‘BioMed Research International’ has since proven this beneficial property. Patients were given 280 grams of mulberry leaf powder, three times a day, over a three month period. The results indicated that the frequent consumption of Mulberry Leaf Tea may prevent high levels of LDL cholesterol.